A couple of months ago my mom sent me a bunch of jars and miscellaneous tins for me to use in my projects. Which is awesome, cause it gave me a base for my many paint projects. Well, I lost them in the craziness of last spring semester. Then I moved into my new apartment this summer, and realized that I have collected a lot of crafting materials, including these jars and such. So that means I’ll probably use these supplies for the next few months for my crafts and fabrication creations. So as I was organizing my stuff I found the watch tin and had the idea of using it as a box for my jewelry pliers. I also recently bought some painter pens, and so I used them on the tin to create what you see below. I only decorated the top of the tin, since the sides are grey and I like the way they look. 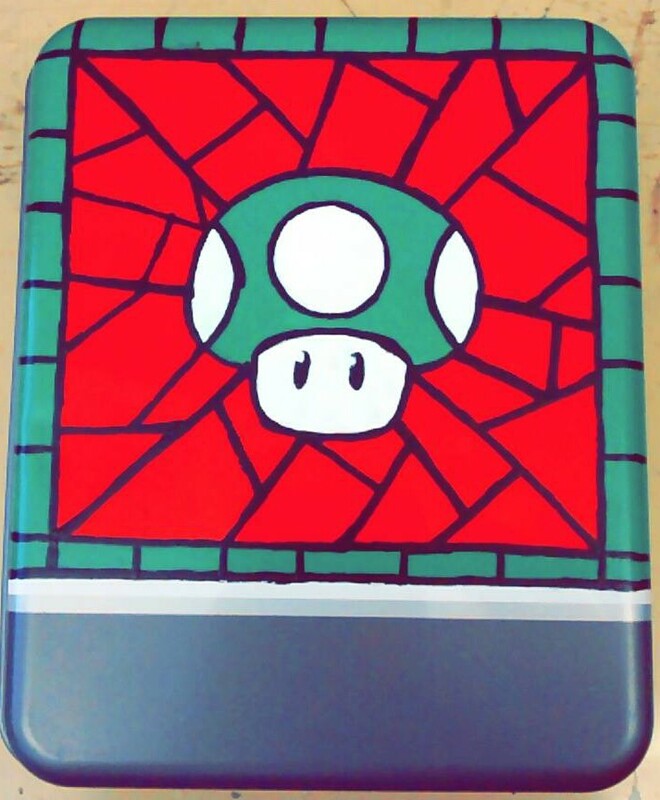 I tried to make it look like a stained glass window, or a mosaic, but all I see is a mushroom in a spider’s web. Painter’s pens, or at least the ones I used, need at least two coats before they look good. Painter’s pens also work great on paper, terra-cotta, and a lot more, so I plan on painting a variety of things to test them out. That’s all I have for this project! If you have any thoughts or inspired ideas from this post, comment below. Hope y’all have a great week ahead of you! I think it looks like a mosaic, not a spider’s web. I love how it turned out, great job! I’m not very artsy so goodness knows what mine would end up looking like if I tried that. lol I’m glad you found your crafting materials, I’m sure you’re going to make great things with them! That's actually the whole reason I started blogging in the first place, because I felt/still feel that way about my art and craft skills. But a little practice each day goes a long way!